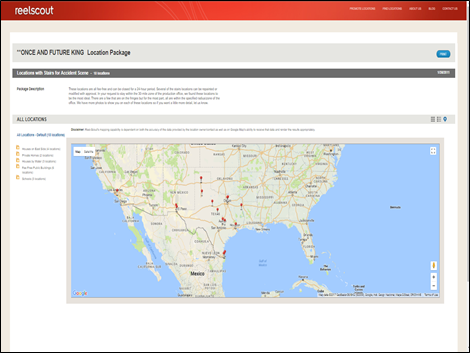 When a location scout or production associate contacts your film commission regarding a location search, you can quickly send a unique web link (URL) highlighting all of the locations that meet the project’s criteria directly to the scout’s email box. In Reel-Scout™ version 10, this web link that contains project specific information is called a Package. Here is an example of a sample Package.